Saba Qamar has been making headlines recently and that too, for all the right reasons. First it was her roaring performance in the super-hit Bollywood movie Hindi Medium and then, the acting powerhouse starred as the female lead in the biopic Baaghi. Now, she has gotten us all in awe with her latest shoot with Vogue India. The Lahore Se Aagey star left us dumbfounded by the bridal shoot. She is clothed in the most glorious dresses designed by Zainab Chottani and captured by the famous fashion photographer Shahbaz Shazi. 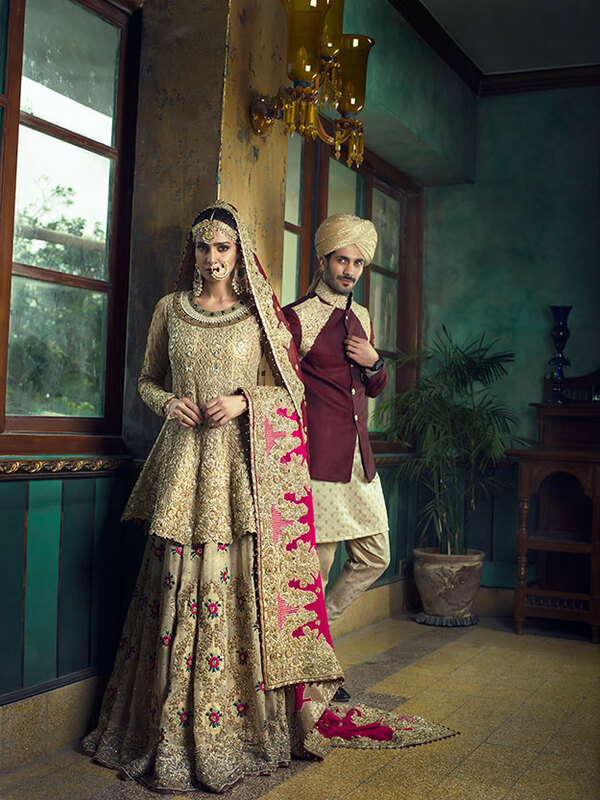 With Mughal royalty as the inspiration behind the collection, the shoot oozes glamour and we can’t keep our eyes off the stunning actor. Even Indians seem to be impressed by Saba’s aura. 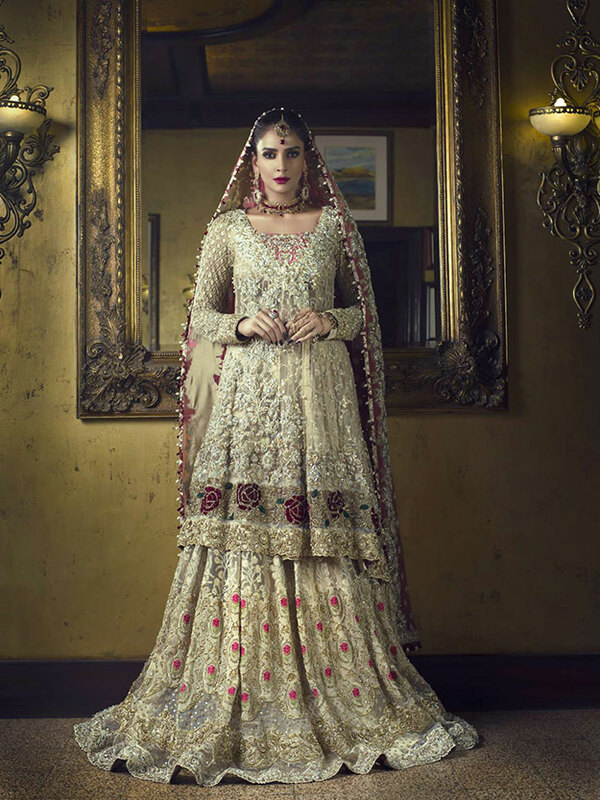 This classical dress displays the traditional wedding outfit with a hint of femininity from the red and pink roses. Pairing it with Swarovski jewellery really takes it to the next level. 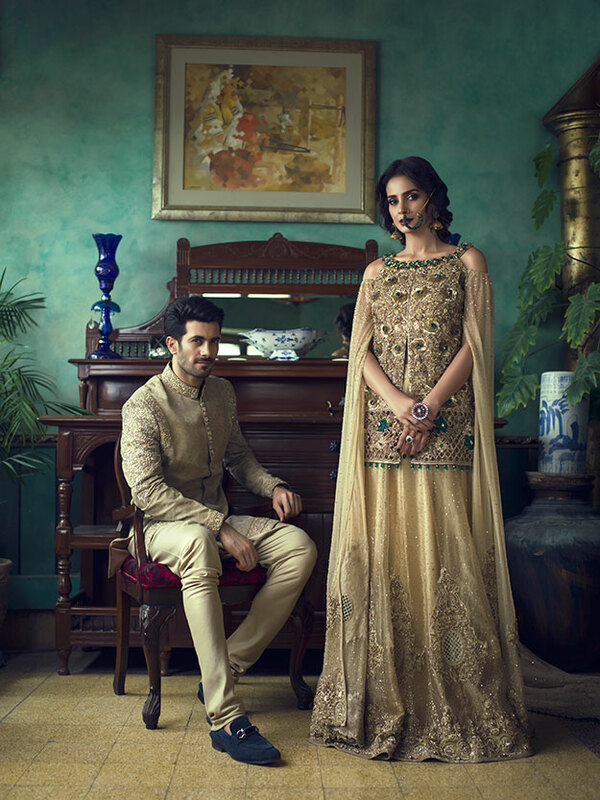 Posing with supermodel Shahzad Noor, the talented Saba can be seen carrying an alluring gold lehnga and kurti with emerald green embellishments. The sleeves drape to the ground and Sherezad Jewellery has provided the accessories for the shoot. This particular piece screams sophistication from its eccentric base colour and beautiful embellishing. The mismatched Swarovski jewellery gives it a rather unique look. It’s safe to say that our admiration for the winsome Baaghi artist has grown immensely. She really is a force to be reckoned with.